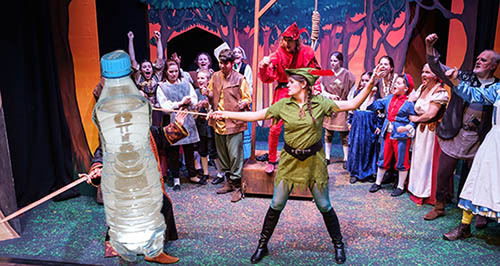 Is Plastic the Recycling Pantomime Villain? In 2017 the media has gradually increased the pressure on the plastics industry by highlighting the effect of waste plastic in our global environment. This focus shows no sign of going away, with the UN oceans chief stating that Ocean plastic is a ‘planetary crisis’. Ironically, in many cases plastics are primarily used because they reduce weight and thus save energy and our natural resources. Plastic packaging also significantly reduces food waste by keeping it fresh and is used when transporting food around the globe. The world’s first fully synthetic plastic dates back to 1907 when the material bakelite was invented in New York by Leo Baekeland. He also coined the term ‘plastics’. Since then plastic has become one of the most versatile and used materials on the planet. So why have we fallen out of love with plastic? 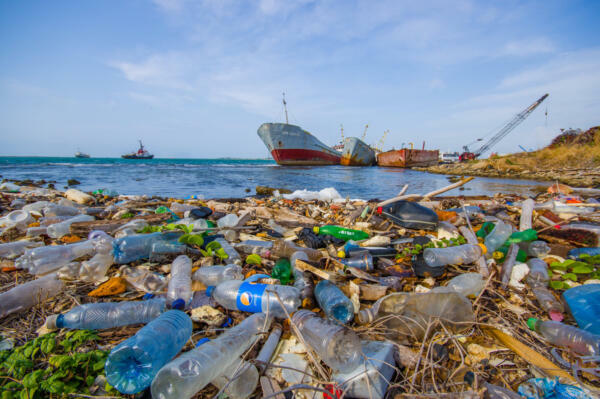 In July, we reported that academics were predicting that there would be 12 million metric tonnes of plastic being in landfill or the natural environment by 2050. The recent David Attenborough nature series Blue Planet II shown on BBC1 has shown how waste plastic is found in our oceans, even reaching the depths of the Mariana Trench. However, as highlighted by the British Plastics Federation at the UK’s waste and recycling show RWM (held in Birmingham, UK September 2017), the ‘plastic waste’ problem is complicated. The fundamental global problem is that 2 million people do not have access to solid waste collection (United Nations). The properties of plastic that make it so useful in our everyday lives also makes it difficult to breakdown and easy to get blown and transported away from the rubbish dump and into the local environment. Gradually, this plastic waste will migrate down to the sea. The larger problem is the origin of plastic waste. In the developed world of the USA and Europe, investment in research and technology means that those countries only contribute approximately 2% of the plastic found in oceans. 82% is estimated to originate in Asia (The British Plastics Federation). The problem is not just a ‘plastic waste’ issue but a ‘waste’ issue in general. Plastic is not the only product being thrown away and ending up in our oceans. Industrial waste is a huge problem, but is presently not the focus of attention. In many developing countries dealing with waste is simply not their most important problem to address. Malnutrition, housing, transport, jobs are all higher on the list of priorities. Plastic has become waste’s ‘pantomime villain’. This global problem needs a global solution. There is no doubt that the designers of plastic products have a huge responsibility and need to consider the consequences of ideas such as introducing plastic microbeads into cosmetic products. In the UK, we presently recycle 29% of our plastic and our target for 2020 is 57%. The figure is so low due to the complexity of the process and economics. Magnetic Separators, Eddy Current Separators and Metal Detectors remove metal and there is other technology to sort by colour and plastic type. However, producing a useful plastic from waste that can be introduced as a raw material into primary plastic production (such as happens with aluminium and steel) is presently exceptionally difficult. Until that happens, plastic waste will continue to pose a problem.